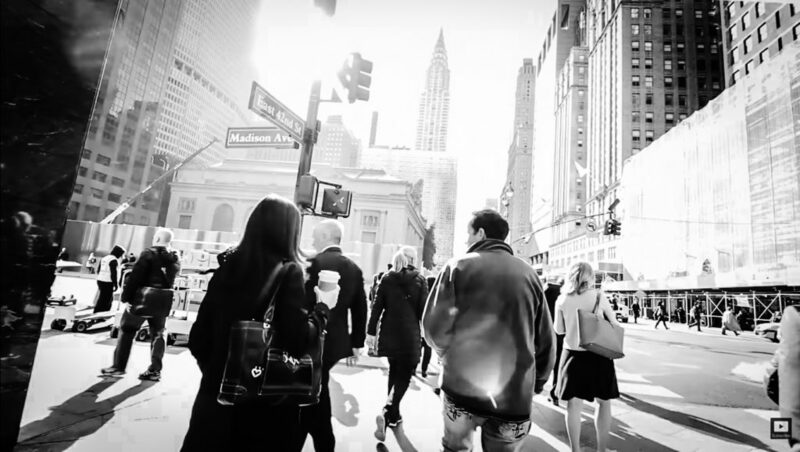 Join Richard Barker on the second day of his media tour in New York City. After his tour through Asia and before a quick trip to LA, the Incredible Hypnotist shares a look into his media tour in New York City. 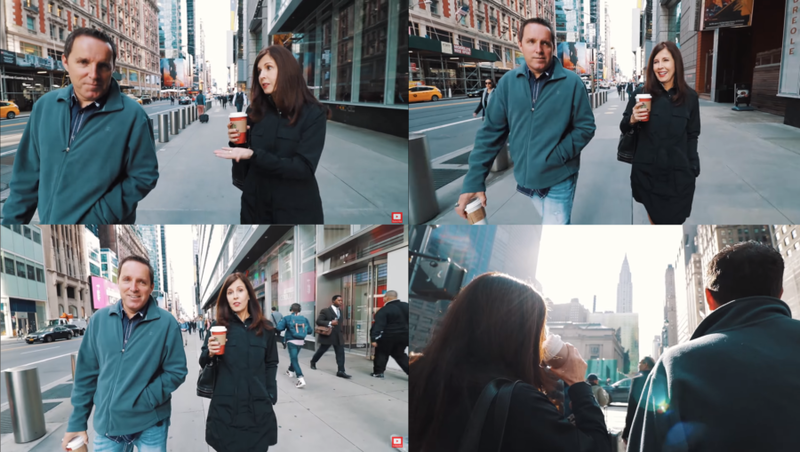 If you missed day one of the media tour, showcasing street hypnosis footage and hypnosis discussions with locals, check out: Behind the Scenes: A Comedy Stage Hypnotist Media Tour in NYC. The behind the scenes tour continues with additions to the crew and a hypnotherapy session at Reader’s Digest. Check out Hadlen’s Facebook Fan Page to be amazed by his videos that showcase just how magnificent his performances are. While the team is committed to making a behind the scenes video, they rush to catch the train to meet with editors at Reader’s Digest in White Plains, New York. Aboard the train, Richard, in his sleep deprived state, confesses before taking a nap, “I actually have a snuggie. I have the original pink one for laying on the couch. I step into it like a hospital gown and then my dog can lay on me and I don’t need a dog blanket.” Pictures, Richard, we need pictures! Ha. The stage hypnotist arrives at Reader’s Digest just in time for his desk side appointment. A desk side in media is a simple, off-camera interview with an editor of a publication. It’s a time when Richard can explain hypnotherapy; it’s uses; benefits and modern day processes. Well, that’s usually how a desk side goes but when you’re a world-renowned hypnotist, everyone wants a taste. In fact, Richard Barker’s private hypnotherapy sessions cost $1,500 and is a highly sought after service. So everyone watching the desk side portion of the interview may wonder, well, what does the Incredible Hypnotist get out of it? Update: So what happened? Did the reporter finally kick her sugar addiction? Check out her article by visiting our Hypnosis FAQ Database. Can Hypnosis Stop Sugar Cravings? If you have yet to “Like” the Incredible Hypnotist Fan Page, go ahead and follow it now. This check-in was a Live Facebook Video dropped exclusively to all of Richard’s followers on Facebook. And the video ends on a hysterical joke that has earned it’s own hashtag: #PullingYourToiletChain. Do you like stepping into the shoes of a stage hypnotist? Let us know you like the updates by messaging us on Facebook; leaving a comment on YouTube; RT’ing the video on Twitter; or sending an email directly to Richard Barker. More to come so stay tuned. And if you missed Day 1 of the media tour, check out our previous article: Behind the Scenes: A Comedy Stage Hypnotist Media Tour in NYC and catch all the kooky things we caught on tape. This entry was posted in Blogs, Celebrity Hypnotist, Change Habits with Hypnosis, Clinical Hypnosis, Television Hypnotist and tagged Behind the Scenes, Funny Hypnosis Videos, Media Tour, New York City, Stage Hypnotist at Readers Digest, Traveling Hypnotist.